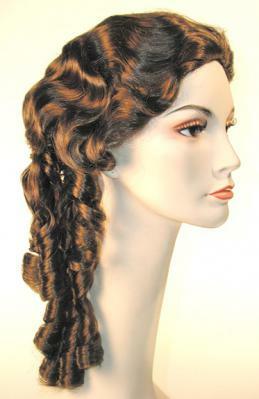 If you are into contra-dancing, or going to Victorian Grand Balls, this wig is for you. You will turn heads as you twirl around the dance floor, not worrying about the coif upon your head. This is also the perfect accessory to any period costume for a show or dressing up for a convention. The beautiful long curls come with a skin part to look like your natural hair, plus with twenty colors, from natural black, blonde and red, to unnatural colors, such as neon green and blue, so you'll be ready for any occasion.